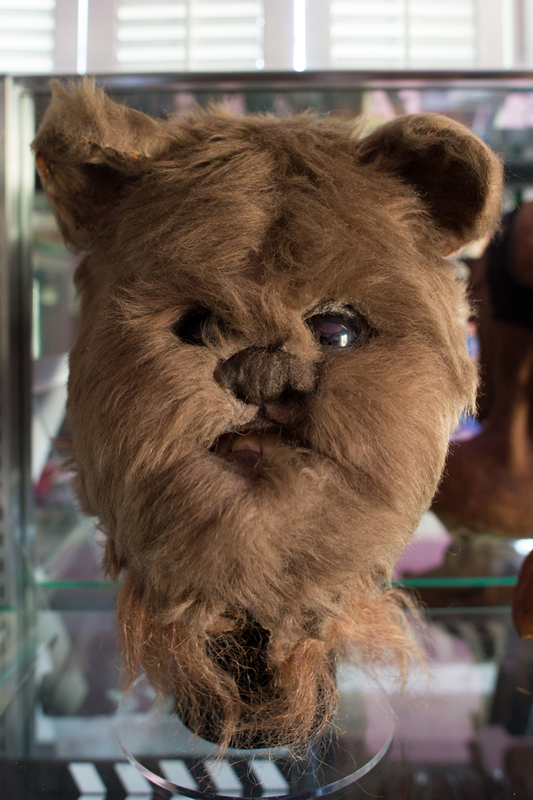 This is one of the smaller Ewok masks used for the Star Wars film, Return of the Jedi. All of the Ewok masks used in the film were custom made to give a unique look to each Ewok character. This mask was given to one of the principal actors from the movie as a souvenir from the filming.